That was how one editor called it when I told her I started in trade book design and then launched a literary agency and co-publishing venture…. Well, I have to say it’s a great fire, and I’m ready to put some more logs on it! The big news for the Dede Cummings Literary Agency is the sale of Shannon Galpin‘s memoir, “Wonder Woman Isn’t Bulletproof,” to St. Martin’s Press on Friday! It is a great feeling to sell a book, secure an advance for the author, and plan for the future, but what is especially gratifying is calling the author and telling her the news—there was this collective sigh of relief when the deal was done, and lots of cheering—just before the bidding closed on Friday, April 12, 2013 at 5:00 p.m. What surprised me even more, was calling this newly-anointed editor, for she was really happy. I guess I didn’t think of that angle: an editor who came to bat for a book that will enter a crowded adventure-humanitarian field, an editor that met with the sales team for one of the largest publishers in the world, and told them about Shannon’s proposal while showing them videos of Shannon’s TEDx talks, the MoveShake film about her, the National Geographic Adventurer of the Year video…. Daniela presented this possible acquire in such a way that I imagine it was hard for the sales team to say no! Other wonderful editors came to bat for Shannon, also—a dedicated group of both men and women—who also “got it,” and wanted nothing better than to publish this woman’s remarkable story. I want to thank them all for stepping up, giving us their ears (as you can imagine, the book publishing editorial side is always busy…). I know that a few of these editors could not put in a bid because they were constrained by the ever-cautious business and sales side of publishing. Shannon and I were so heartened to receive multiple emails from these editors who passed on the proposal—they want nothing but success for the book. I am especially pleased because Shannon’s new editor, Daniela Rapp, who really “got it” from the beginning, made the second offer, and her enthusiasm from the get go impressed me and more importantly, Shannon! The book is due out in 2014 in hardcover with a 4-color photo section! This article gives a good idea of Shannon’s life, however the actual book will have a structure and focus guided by Daniela’s vision and collaboration with Shannon. I know that wherever Shannon speaks, there will now be a book available for people to purchase. Momentum will undoubtably build towards the date of publication, and the short film Afghan Cycles will come out and further fuel interest in “Wonder Woman Isn’t Bulletproof.” I fully expect book sales to outpace projections, especially when Shannon is featured in the media promoting it specifically (she has requests from Glamour, Marie Claire, Today, and Jon Stewart — the latter being this agent’s dream come true! 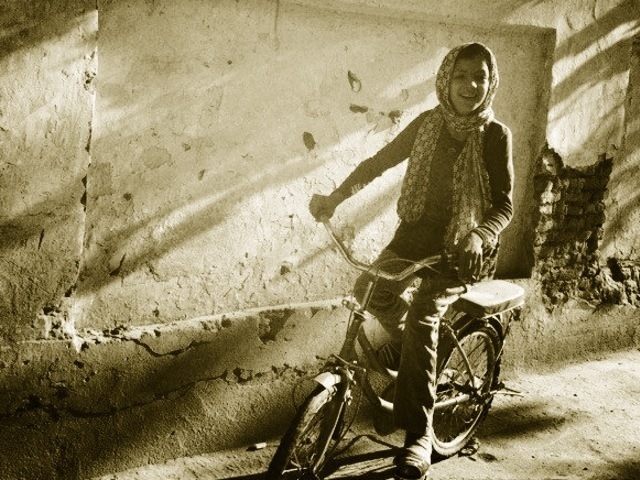 ;)….last, but not least, when the Afghan Women’s National Cycling Team goes to the Olympics in 2016, Shannon’s book will experience an uptick in sales. I am over the moon that my growing agency — whose mission is “to give voice to writers who make the world a better place”— has placed this title with a respected publisher, just as the Afghan Cycles’ film crew (Sarah Menzies, videographer and filmmaker, and the founder of production company LET MEDIA, along with Shannon, and Whitney, and others) gets ready to depart next Wednesday for Kabul to film the documentary. This clip comes from NBC Nightly News’ segment not only demonstrates the previous work that Shannon has done for the people of Afghanistan, but it provides firsthand insights into what it is like to be a woman in Afghanistan. The National Women’s Cycling Team featured in this coverage, are the stars of Sarah, Whitney, and Shannon’s film “Afghan Cycles.” The film is about the Afghan women who risk everything to ride for the Afghan National Women’s Cycling Team, set in a country where the Taliban expressly forbids women to ride a bike. Please join me in supporting their efforts through Shannon’s foundation, Mountain2Mountain. They need to raise $5,000 before Wednesday, April 17th. Donations are tax-deductible, and Mountain2Mountain is a solid foundation with the goal of helping women and girls in conflict areas. Some of their recent projects include building a school for deaf children in Afghanistan—they also have many initiatives planned for the United States….their reach will go far and wide. Please join us, and get on board! Thanks for your agency support and reading my updates.